Best Yoga Studios in Miami – Cute Yoga Pants Required! It’s true that some of the most comfortable outfits I’ve ever worn involve cute yoga pants. For me, yoga pants go far beyond just being used for a yoga class. Have you ever had those mornings, especially on the weekends, where you need to run errands and jeans just aren’t doing it for you? I have those moments waaaay more than I’d like to admit. That’s why I have a plethora of women’s activewear lining my closet, some for actual workouts and some just for those days that denim ain’t a friend. But alas, on those days that yoga apparel is necessary for actual yoga, I have a few outfits that are a godsend for those sweaty, intensely invigorating classes. But before we jump into the hottest activewear line of 2018, maybe you’re wondering just exactly where you can go in Miami to actually practice yoga. Maybe it’s a new year and you’re ready to stretch and bend your body like never before. Maybe it’s time to break out of your normal workout routine and try something that will revitalize and center your chakras like you’ve never experienced. 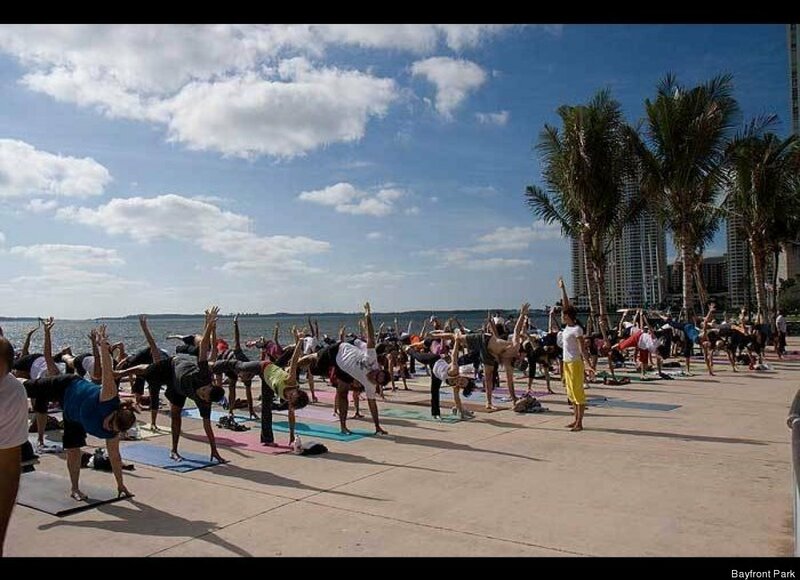 We’ve done some extensive research and found some of the greatest places in Miami to practice yoga. So get your best yoga apparel ready and namaste ladies. The mantra of Green Monkey Studios centers around living in balance. They strive to create a balanced environment which transcends into a balances harmony within your life. Green Monkey knows that finding balance is a practice, which is why they strive to help in their yoga studios. Green Monkey currently has three yoga studios in Miami, which they adorably dub “tree houses”. This is where students join for classes, participate in workshops, or simply hang out for free internet. 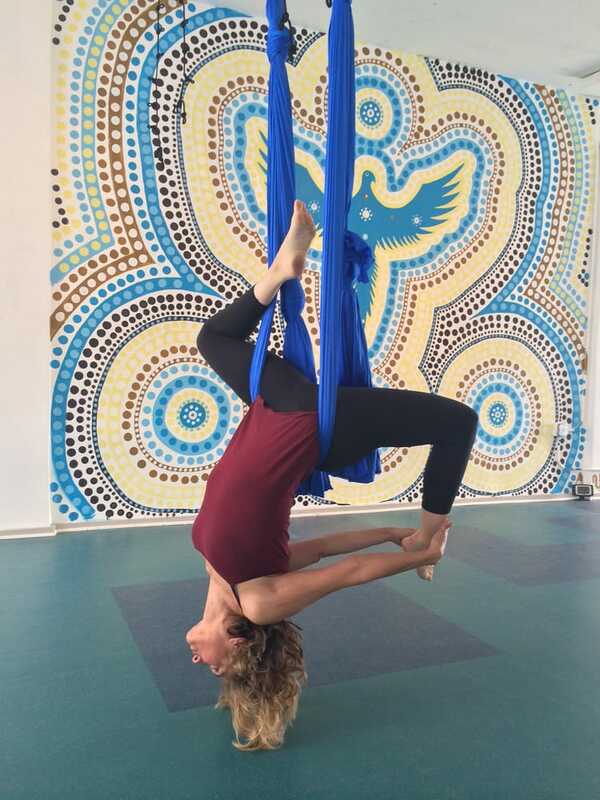 Green Monkey offers classes beyond yoga, to include Pilates, martial arts, and meditations. So it’s simple: slip on your latest women’s activewear from Maylana, and become a Green Monkey. Trio Studio is located in between Wynwood & the Design District (Midtown) in Miami, catering to the diversity of the area and the people in it. People step onto a yoga mat for the first time for many different reasons, whatever your reason may be, at Trio Studios you will experience a community of teachers and students that will support you on your path. Trio Studios will be able to cater to you individual needs to help you nourish the TRIO experience – BODY MIND SPIRIT! The Prana Yoga Center has been a Sanctuary in the “heart of Coral Gables” for over 13 years. Their mission is to provide an opportunity for you to release your daily stress while you tone your body, quiet your mind, and refresh your spirit. The goal at Prana Yoga is to help you reach your full potential both physically and spiritually by receiving authentic Yoga teachings passed down through sacred lineages. Their yoga teachers and staff are extremely knowledgeable in all aspects of yoga and respectful of each students needs and limitations. At Prana Yoga a smiling face will always be there to greet you and make you feel welcome. Skanda Yoga Studio is a community based center for practices that challenge the body and transform the spirit. Motivated by a deep love of the human condition, Skanda Yoga studios maintain that yoga is a birthright of every human being, and they aim to uphold yoga in its highest expression of the Divine for the inspiration of others. In keeping with their mission, they staff experienced instructors that share with practitioners of all levels the proper techniques for fostering growth on the mat and translating those insights off the mat and into the world. They host special workshops and guest teacher residencies to enrich their study and practice of yoga. I think something is to be said for free anything these days, so when you have the opportunity to take free yoga classes, TAKE THEM! Thanks to the Free Yoga Foundation, you can choose from tons of several park locations, where certified teachers share their knowledge of mind and spirit for free. Yoga classes are normally pricey, but Free Yoga Foundation is a non-profit organization that magnifies generosity by bringing yoga to everyone, no matter how experienced you are or how much money you have to spend. The best part of it all? It’s outdoors! Sunshine and the smell of grass, what more could you want?